Ben Joosten: Sculptors from Zimbabwe, the first generation, Dodewaard 2001. Cecilia Winter-Irving: Tengenenge, Art, Sculptor and Paintings, Eerbeek 2001. Olivier Sultan: Life in Stone. Zimbabwean Sculpture, Birth of a contemporary art form, 2. Aufl., Harare 1999. 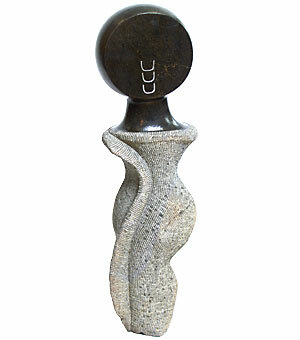 Cecilia Winter-Irving: Stone Sculpture in Zimbabwe. Context, Content and Form, 2. Aufl. Harare 1995.